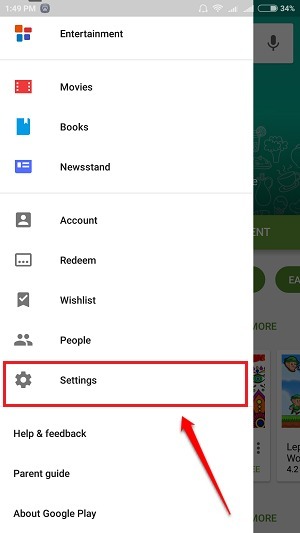 How To Stop Google Play Store From Auto Updating Apps In Android:- You wake up early in the morning, take a new data pack in your mobile and turn on the mobile data to send some important documents. Once you are done with all the sending, you turn off your mobile data. That’s when you realize that your data pack is empty and half the portion of your current balance is also eaten up by your network. Wow, what an awesome way to start your day! And then you come to the realization that the culprit is Google Play Store. Google Play Store auto updates apps and this often causes a lot of trouble to the user. Even if you are using a WiFi, this could significantly reduce the speed of your Internet. 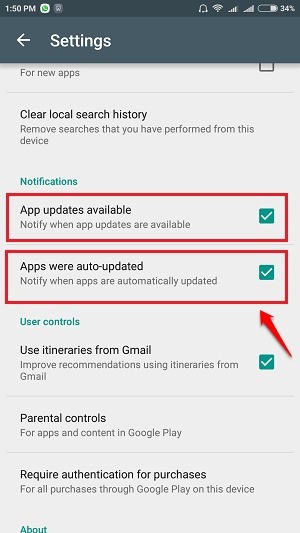 So what can be done to prevent Google Play Store from auto updating your apps? Well, read on, we have got what you are looking for, right here! Launch Google Play Store. Once it opens up, click on the More Actions icon at the top left corner of the app. When the options get expanded out before you, find and click on the one named Settings. Under General settings, you’ll find an option named Auto-update apps. 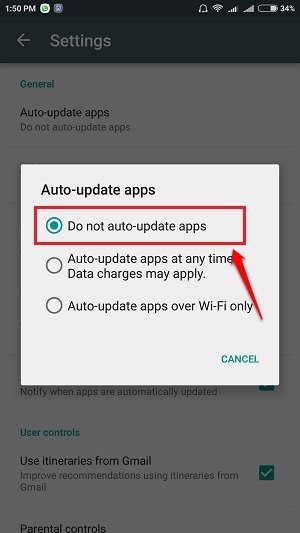 If your apps are auto updating, then this option might most probably be set as Auto update apps at any time. Data charges may apply or Auto update apps over Wi-Fi only. Click on it to change its settings. From the pop up menu that opens up, find and click on the option that says Do not auto update apps. This way, even if your connected to a Wi-Fi, without your permission, no app will get updated. You can also check some other options available in the Settings. 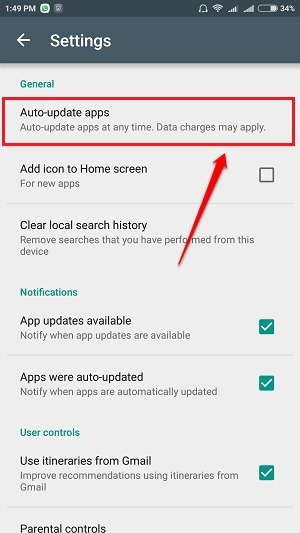 If you want to be notified when updates of apps are available in the Play Store, you can check the checkbox corresponding to the option that says Auto updates available. Or if you are okay with the auto updates of apps, then you can choose to be notified when such an update takes place. For that, check the checkbox corresponding to the option Apps were auto updated. Hope you found the article useful. If you have doubts regarding any of the steps, feel free to leave comments. We would be happy to help. Stay tuned for more tricks, tips, and hacks.